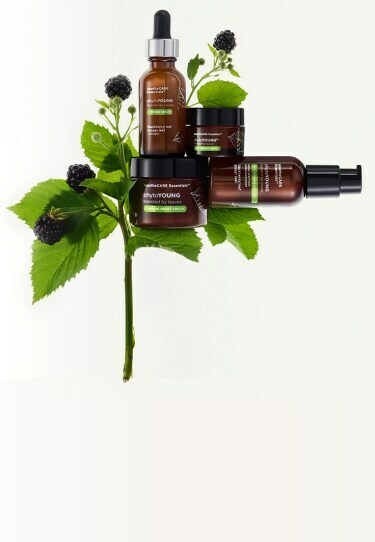 Formulated with Blackberry Leaf and Ginkgo Leaf, the PhytoYOUNG collection captures the essence of the life force of the plant – the leaves – into advanced formulas for younger-looking, smooth skin. Discover advanced skin rejuvenation, from firming cream to eye cream to serum. This collection visibly smooths fine lines and firms skin to reveal instantly smooth and radiant-looking skin. As a skin care routine, it supports natural Collagen levels and strengthens skin for a firmer-looking complexion. Included at an active level, the Blackberry Leaf stimulates skin’s moisture barrier renewal and helps reduce the appearance of fine lines and wrinkles. Blackberries are sweet, darkly colored fruits that grow on bushy vines in small clusters known as drupelets. Blackberry Leaf not only stimulates skin's moisture barrier renewal, it also helps reduce the appearance of fine lines and wrinkles, promoting firm and smooth skin.